Every time I cut up a carrot, especially the carrots that I harvest from my home vegetable garden and have grown directly from carrot seeds, brings back memories of my childhood when my grandmother would pull some carrots from her home vegetable garden and use them in her homemade chicken noodle soup. I remember the image vividly of those long bright orange carrots coming out of the dark rich soil in her home vegetable garden directly behind her Trenton, NJ house. I remember her cutting those carrots up with a knife, using such precision that the sight of the evenly cut carrot slices would make an electric powered carrot slicer or food processor jealous. She would then add the carrot slices to her homemade chicken soup broth to soften, and then finish the recipe. While I have never been able to duplicate her chicken noodle soup recipe, no matter how hard I have tried, duplicating the process of growing carrots from seeds at home in my own vegetable garden has become almost second nature to me these days. Growing carrots from seeds, while challenging, is not impossible. A couple of challenges you will find when growing carrots from seeds in your own home vegetable garden, include, the size of the carrot seed, spacing those seeds out, and, making sure the soil you are growing your carrots in is friable. That is … the soil for your carrots should be very loose or able to crumble into small pieces. Let’s first talk about the size of your carrot seeds. Carrot seeds are very small. Not as small as celery seeds (celery is another ingredient in grand mom’s chicken noodle soup), but hard to handle on an individual basis nonetheless. If you plant carrot seeds too close to one another, the growth of your carrots will be inhibited and then you will end up with either small and fat carrots or your carrots will not grow at all. A seed tape is nothing more than as out it sounds. You take your carrot seeds, place them on a long piece of tape, usually a masking tape variety, spacing your carrot seeds out as per the instructions on your carrot seed packet, and then plant the tape (with the carrot seeds on it of course) at the depth that is written on your carrot seed packet. Moisture and weather conditions will remove the carrot seed tape’s adhesive. This allows your carrot seeds to be planted as normal except your carrot seeds are nicely and evenly spaced out for optimal growth. As for the carrot seed tape, or in the case of Gardening Jones’ carrot seed tape tutorial, tissue paper, that will simply erode away and become compost in your soil. So you do not need to worry about taking the carrot seed tape out once planted. For the soil your carrots will grow in, it needs to be loose, friable and crumbly. If you have soil that is heavy in clay, the quickest way to accomplish what your carrots need is to add plenty of perlite, compost and peat. This will loosen your soil up for your carrots, very quickly. 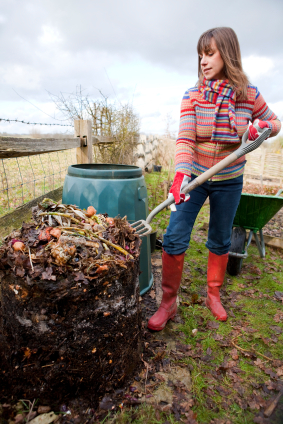 While perlite and peat are available at any home center, you will more than likely need to make your own compost. These ingredients also add other useful things to your soil for your carrots; however I will save soil enrichment for another time. Proper spacing and loose soil will ensure that when you grow your carrots from seed, great results will happen, every growing season.